Welcome to the new Pug Club of Victoria website! 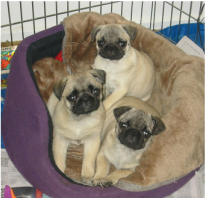 The Pug Club of Victoria is dedicated to promoting, preserving and protecting our beloved purebred Pug. The Pug Club of Victoria was established in 1954 and is an affiliate of Dogs Victoria and the Australian National Kennel Council. As an incorporated association and member of Dogs Victoria the club collectively and, members individually, are bound by a code of ethics, incorporation law and our constitution and by-laws. 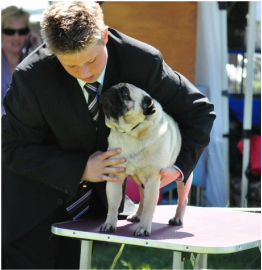 The clubs holds an annual Championship and Open Show each year and we encourage anyone and everyone who is interested in our beautiful breed to come along and have a chat to our members and pat a pug or two. This site is designed to provide information and education to both our members and to anyone who is interested in the breed. We promote ethical breeding and responsible pet ownership. Many members of our club are dedicated, experienced breeders and exhibitors and are registered with Dogs Victoria. You do not have to be a breeder or exhibitor to become a member of our club. We welcome all members who have a love of the purebred pug. As a member you will receive a quarterly newsletter which contains information regarding up and coming events, show results and photo’s, articles of interest regarding health, training, showing, breeding etc. and some light hearted humour. 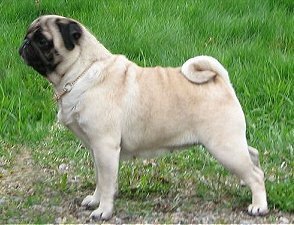 You want to buy a pug but how do you ensure you are buying one from a ethical, reputable and registered breeder and not just from someone who is trying to make a few dollars? Become a member and receive our quarterly newsletter with information on events, articles of interest, show results, photo's and humour. Want to purchase a pug?